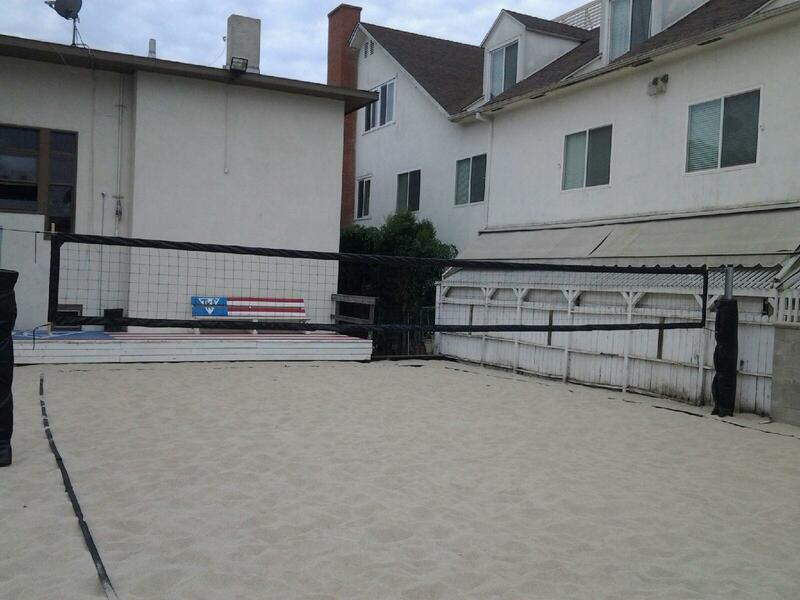 Summer 2013 saw many improvements to the TKE Houses. The theme of this year’s improvements was “TKE Compound”. We committed ourselves to creating the best possible living experience for a fraternity at USC. 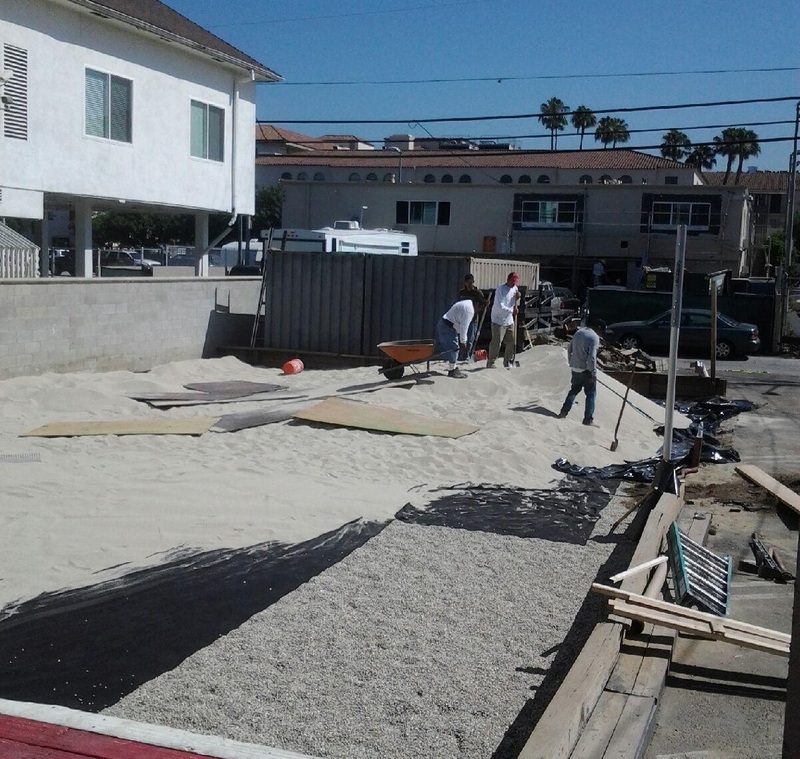 Improvements included a renovated front deck, renovated TKE west foyer with TKE triangles light fixture, a new volleyball court with the best sand possible, the installation of a 12 foot backyard fence, and the installation of a bar in TKE East. Check out the progress in the pictures below. The TKE front deck has been repaired and sanded down. New benches have been added. 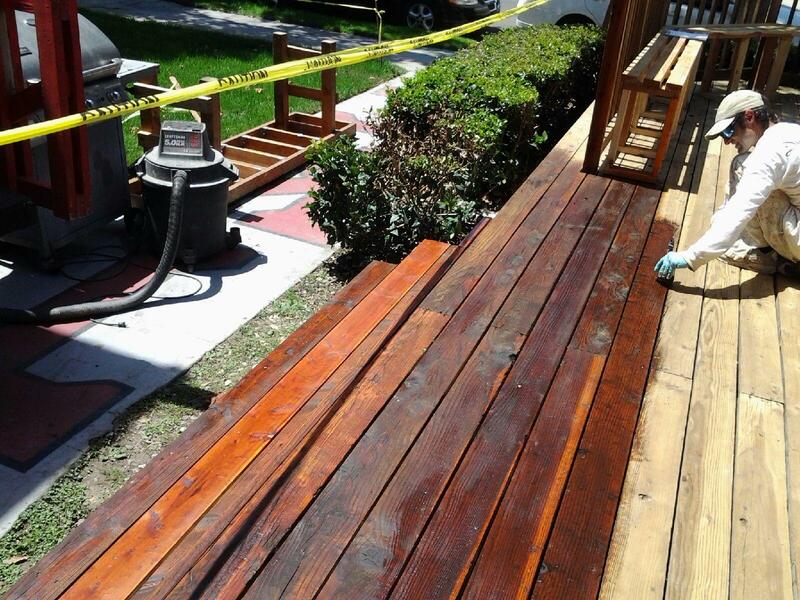 The staining begins. The new deck stain looks awesome. 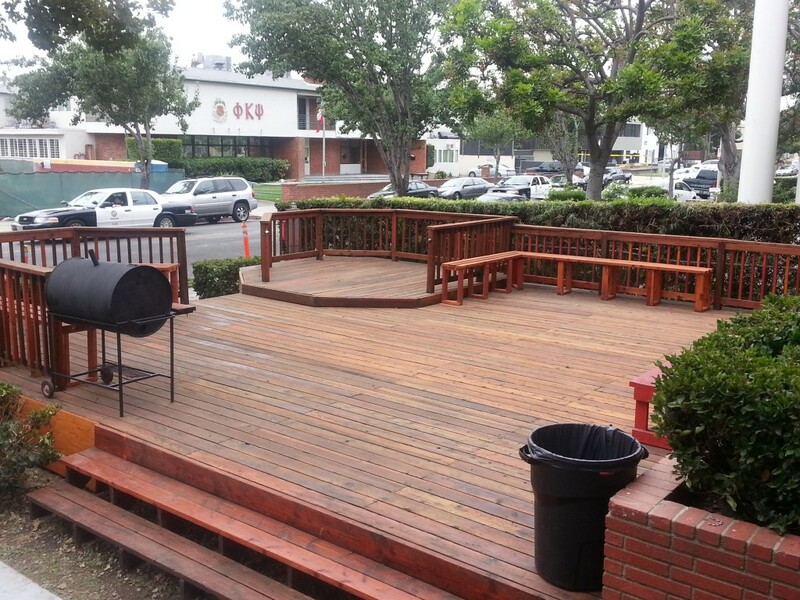 Beta-Sigma gets a new front deck for Fall 2013 Rush. 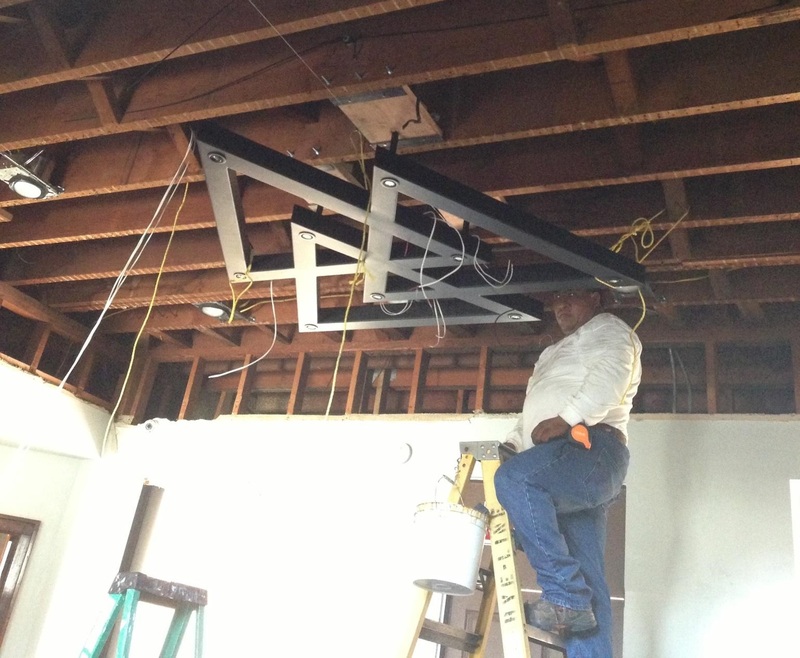 The old TKE West Foyer ceiling was removed and raised by almost two feet. 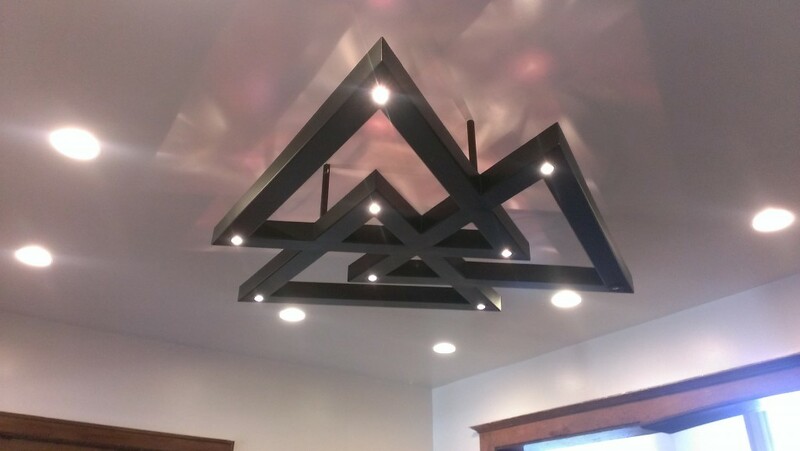 And the new triangle fixture is installed. 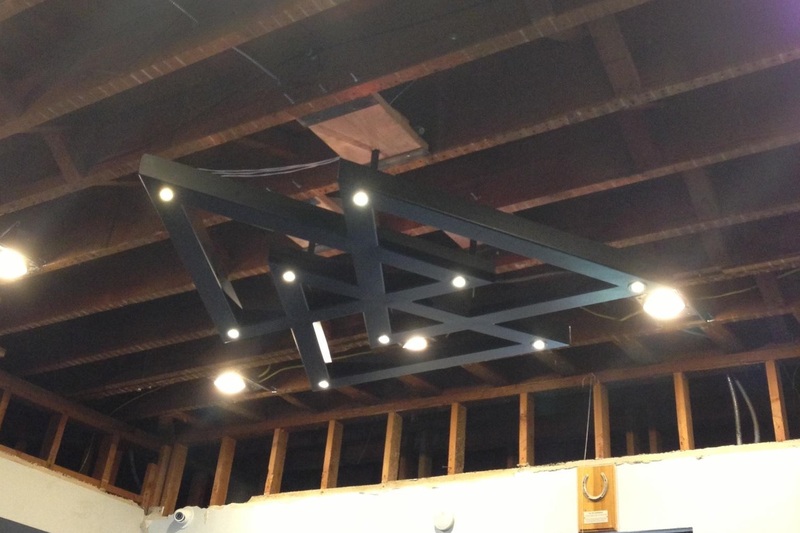 The new TKE West triangle fixture has been installed and the LED lights are now working. TKE West foyer with new ceiling and fixture installed. 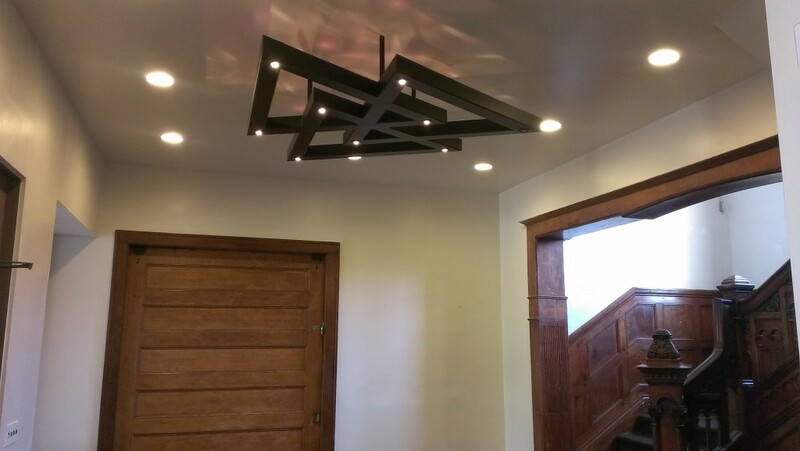 Close up of the new fixture with new ceiling and lighting. Bright white spots shine down. Cherry red spots shine up. A bulldozer begins removing the old sand that was dusty and hard to play on. 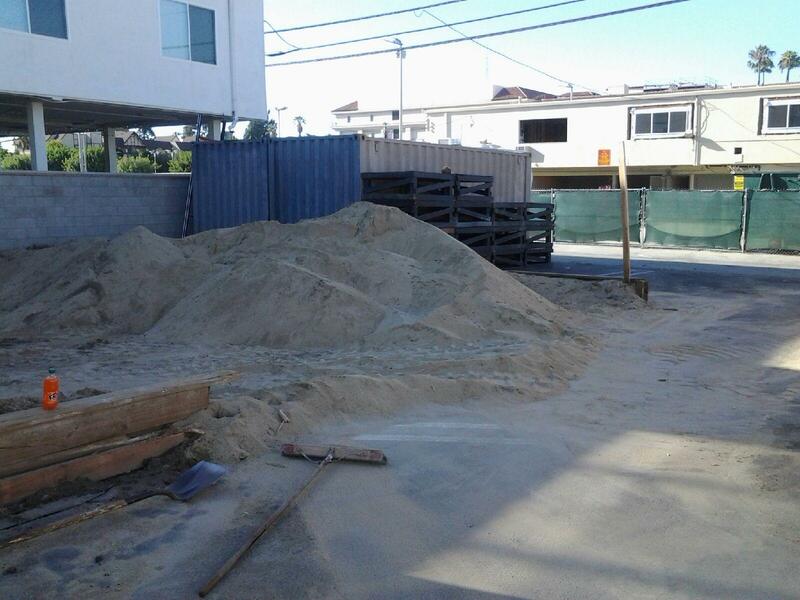 The old TKE Volleyball Court sand has been bulldozed into a pile for removal. 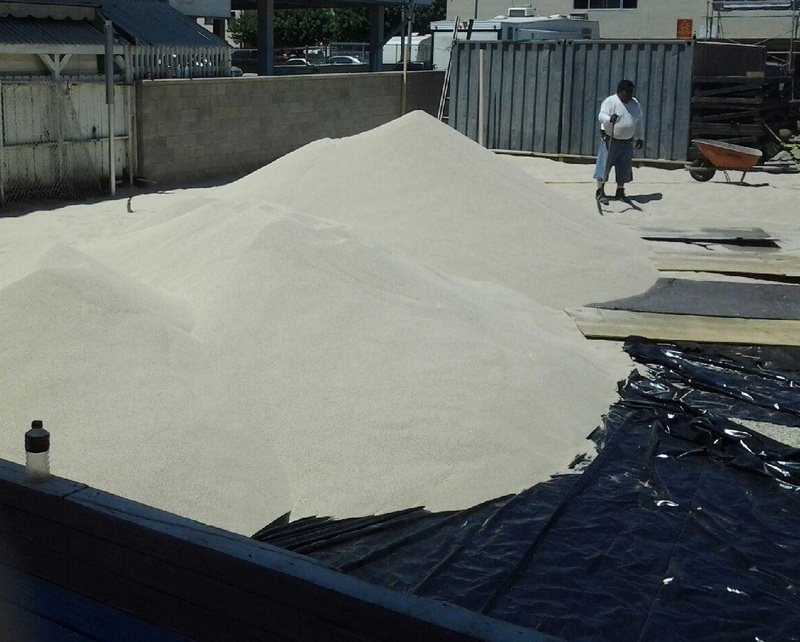 150 tons of brand new sand sits in a gigantic pile. The new volleyball court includes a lower layer of gravel covered by a mesh membrane for drainage. The new sand is piled almost 20 inches on top of the membrane. The new volleyball court facing south toward TKE west. 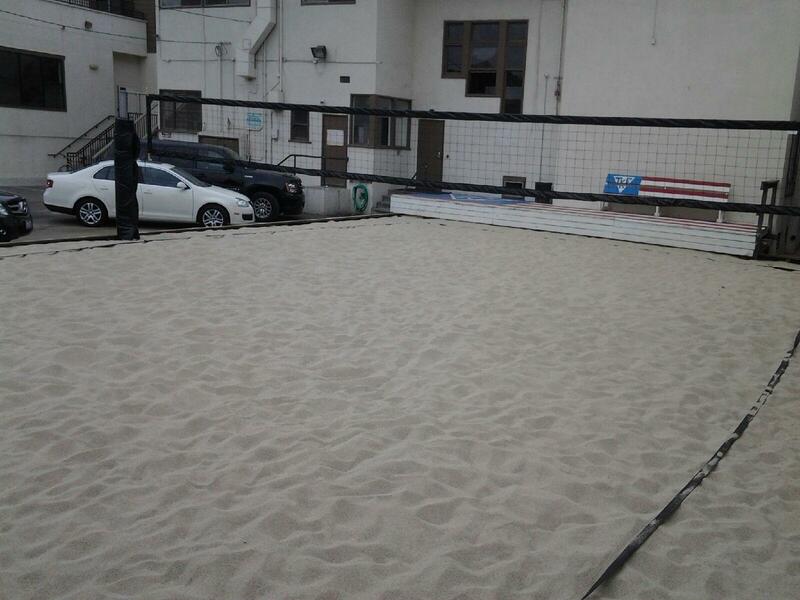 Another angle showing the brand new volleyball court with the highest grade sand available. A look at the new volleyball court facing toward DG. 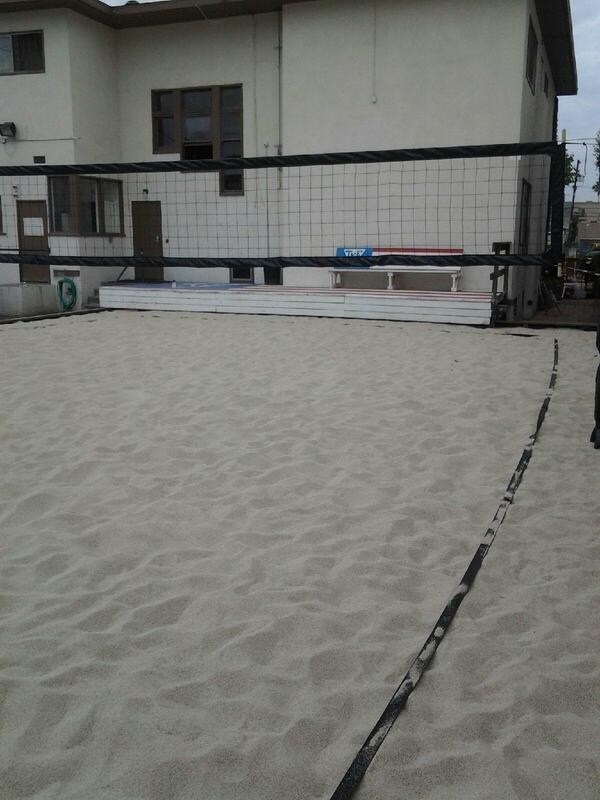 The new sand is the same sand used by the USC beach volleyball team on campus. 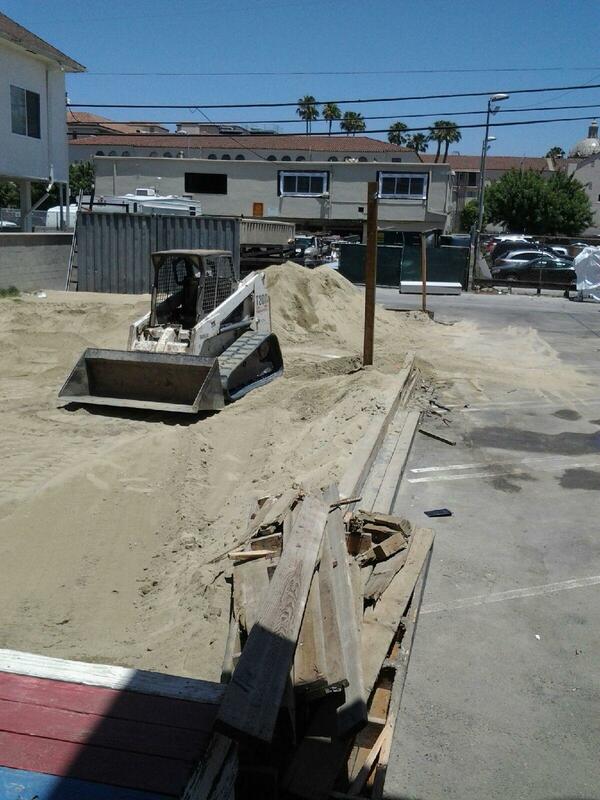 The western wall of the Chris Eber TKE East Party Deck comes down. An iron railing is installed to create one huge, connected TKE compound backyard. 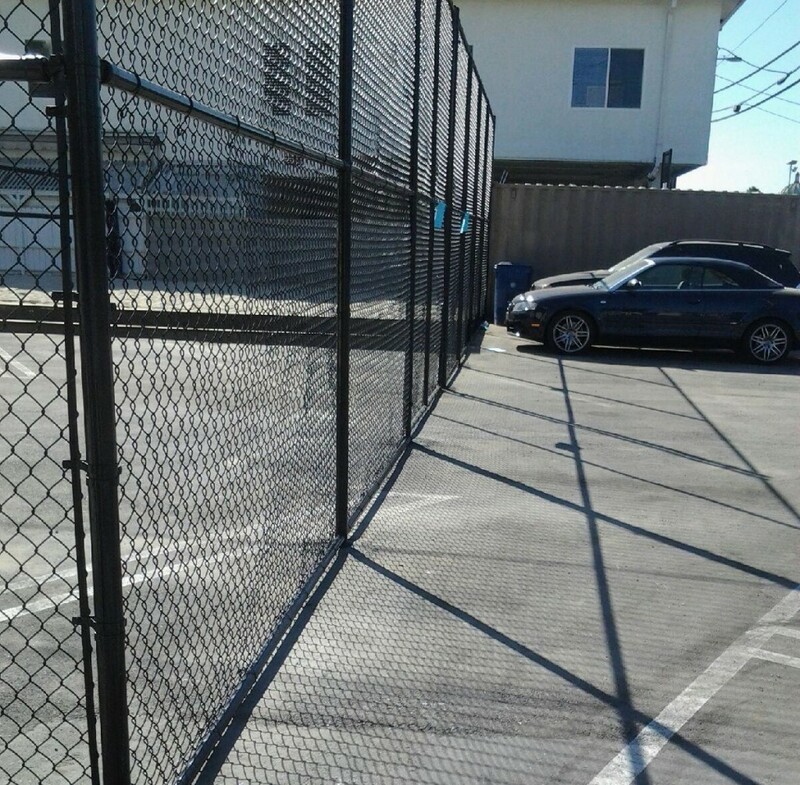 A 12 foot chain link fence now runs from the DG house to the Party Deck of TKE East creating one huge enclosed area. 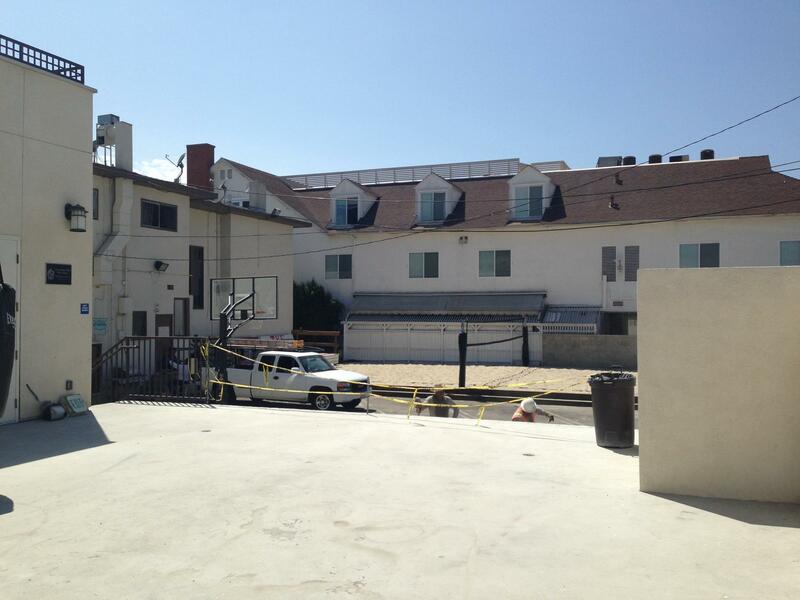 The new compound backyard includes a volleyball and basketball court. 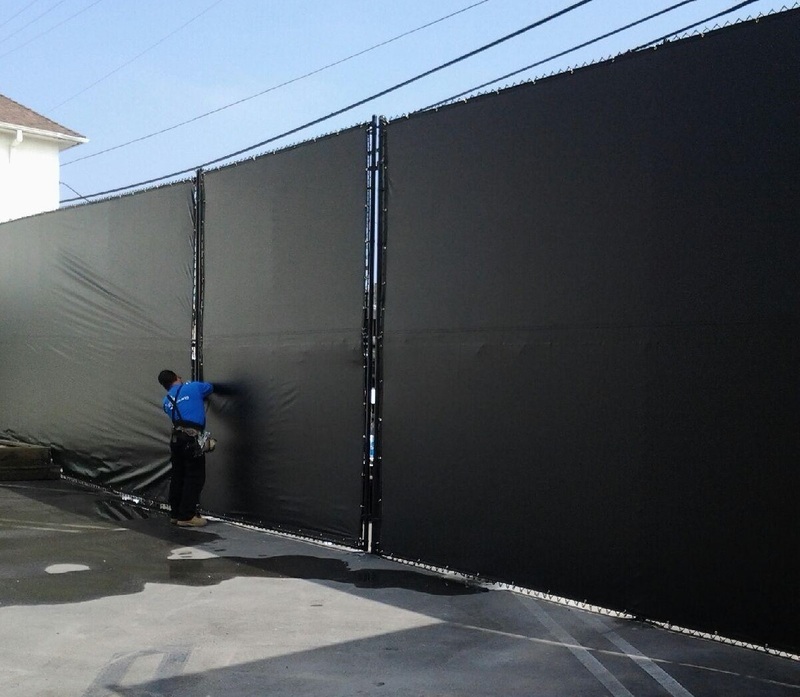 The 12 foot compound fence is covered in black vinyl for privacy and dramatic effect. We now have a huge backyard. 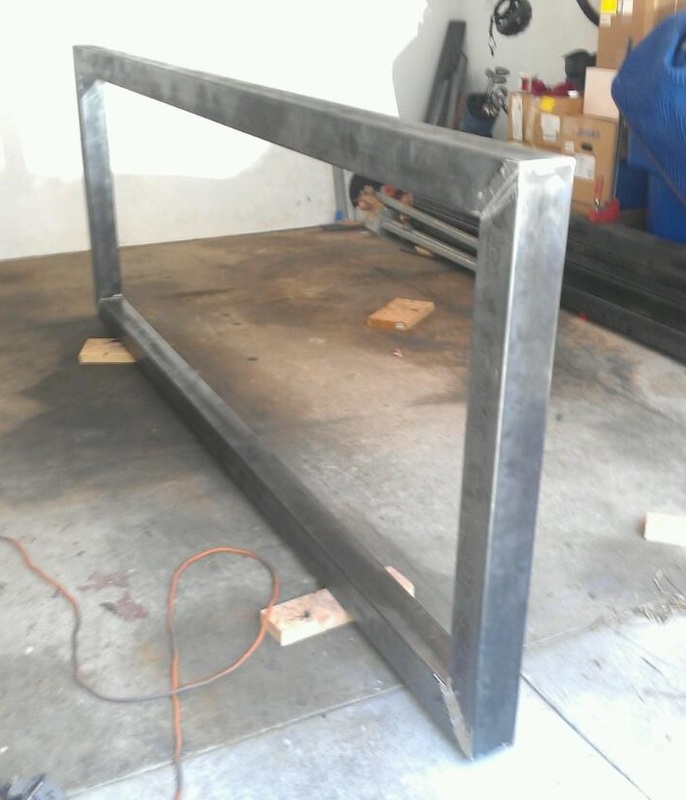 The new bar being constructed in TKE East is made out of a solid steel frame. The steel frame is now in place. 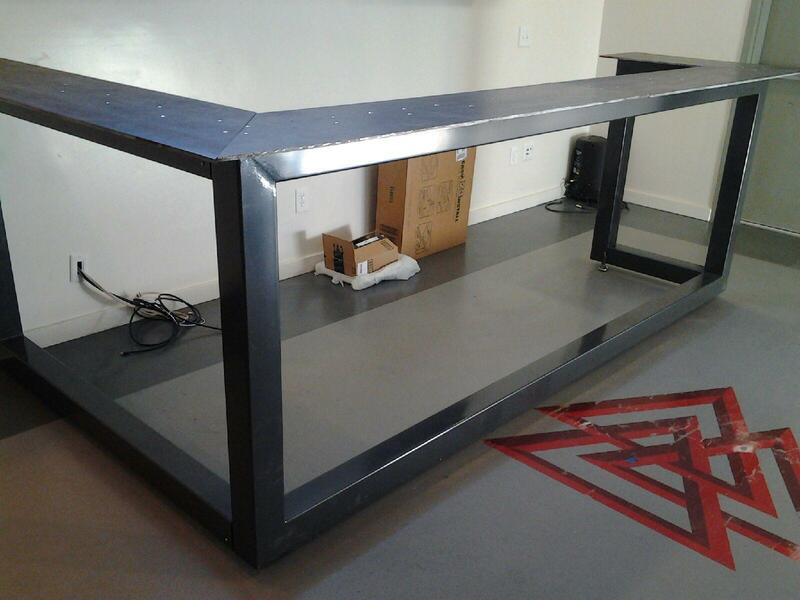 Next steps are a black granite countertop and 1/2 inch thick tempered glass panels with backlighting for the front. 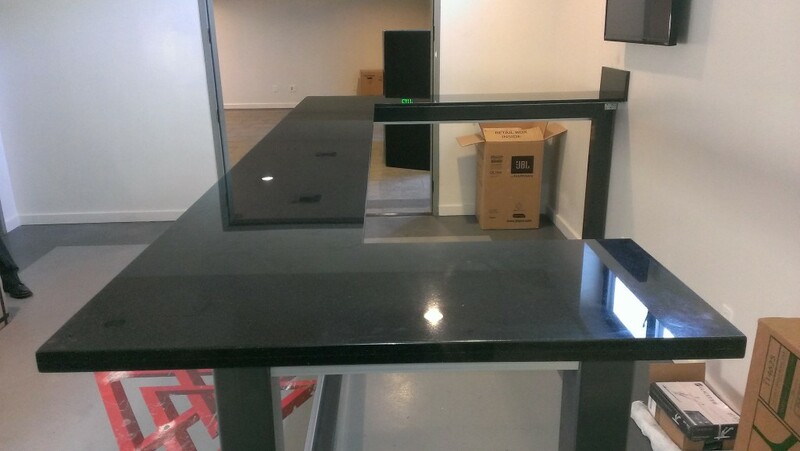 The black granite countertop is installed. 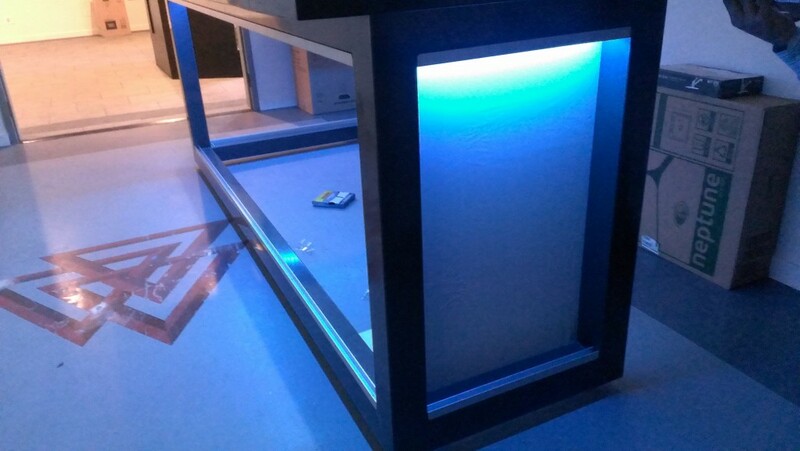 LED lights project from under the countertop creating a glow effect. Now it’s blue. The LED lights slowly change colors. Now the glow is a green hue. 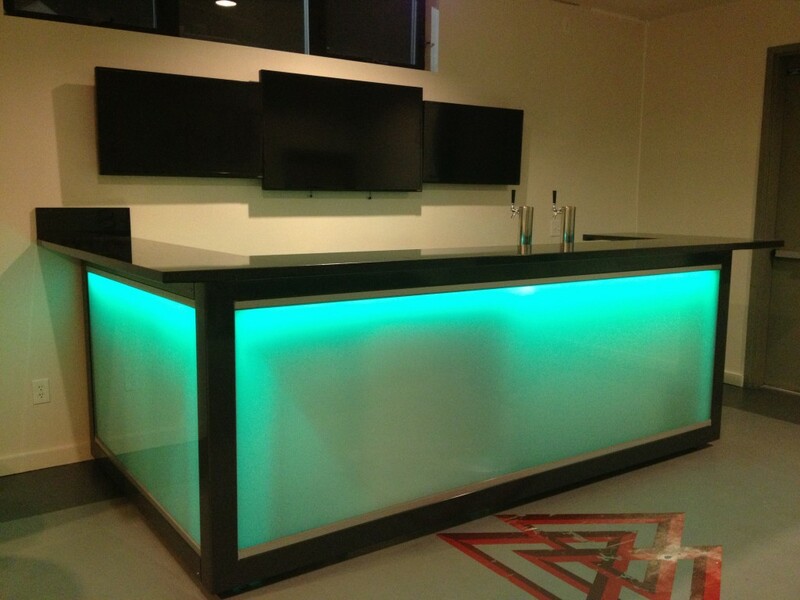 The bar is done and ready for action. Check out the three TVs.